HRM has been a talent partner to leading organisations and outstanding professionals for over 20 years. 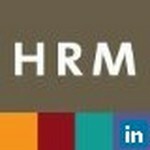 HRM is a unique business with a commitment to deliver on two basic goals – firstly, to bring the very best in leadership and specialist talent to clients and secondly, to continuously develop our knowledge in each sector in which we operate. Join Today to follow and contact Jeremy Colville.